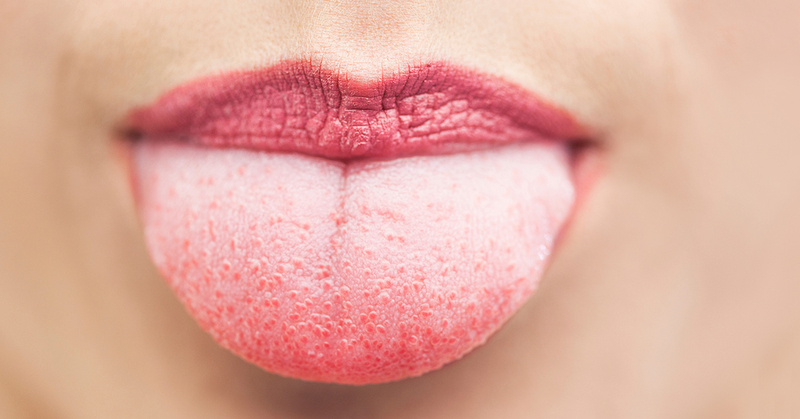 Tongue cleaning has a long history as a daily detox regimen in Ayurvedic and yogic practices. But now it’s becoming a common method for cleaning a white tongue, as well as maintaining good dental health. Find out how to practice proper tongue cleaning. Removes the bacteria and toxins that result in a white tongue. Makes the tongue look very clean by eliminating the unattractive coating of a white tongue. Cleans both the tongue and the entire mouth to reduce the risk of tooth decay and gum disease. Gets rid of bad breath. Improves your sense of taste. Provides an attractive and healthy smile. Before using the tongue cleaner, rinse it well with fresh water. Stick out your tongue and hold the edges of the tongue cleaner with your index finger and thumb. Hold the back, rounded part of tongue cleaner against the back of the tongue. Gently pull the tongue cleaner forward to skim off the bacteria and toxins that cause a white tongue. Pull the tongue cleaner over your tongue as many times as needed to clean the entire surface of the tongue. When you’re done, rinse the tongue cleaner with liquid soap and cold water.